Ultimately, your experience during the sales process will influence all other aspects of the search and implementation – which means you want to feel comfortable with not only the software solution but also the people behind the software with whom you deal with right from the beginning. Below I’ve shared some thoughts on what I’ve learnt as a salesperson and how they can help your business prepare for the software search and find the right solution. (1) There is a still a lot of stigma around salespeople. This one should come as no surprise, and I can’t deny being guilty of the same. Even though I spend most of my time interacting with potential customers in a sales role, I am still hesitant when speaking with salespeople in other industries, however, it’s time to break the stigma. First and foremost, there are definitely still untrustworthy and bad salespeople whose only purpose is to meet quotas and get a commission. However, there are also good salespeople, specifically in the software industry, who are dedicated to helping your business find the right solution and are invested in your company growth and success. To help break the stigma around interacting with salespeople, and to help you distinguish between the good and the bad, I’ve identified some common issues below. With so many privacy breaches it can seem counterintuitive to share information with a stranger, however, information is the key to finding the right solution when it comes to searching for software. Keep in mind that when you speak with a software vendor, they will know next to nothing about your business, operations, challenges and goals – aside from what they can find online. The more information you can provide throughout the sales process, the better each vendor will be able to evaluate whether or not their solution is the right fit. A good salesperson is someone who takes the time to try and understand your specific business needs and processes so that they can make a proper recommendation. Be wary of salespeople only interested in talking about their product and bashing the competition as it can indicate that they are more interested in making the sale than truly becoming a business partner. Ideally, the right software vendor will become a trusted business partner that you can continue to work with well into the future. Gathering information on specific processes, company size, the number of warehouse locations, geographic customer base, etc. can help both parties determine whether the solution is the right fit, and allow the vendor to provide a realistic idea of costs. You’re a wholesale distribution company in the business of buying and selling inventory and have a process for selling to customers. Perhaps you like to assign each customer with an internal account rep, perhaps you have a B2B website that allows customers to purchase product, check open orders, review sales history etc., perhaps you have sales reps in the field who work with your customers face-to-face – whatever the situation, you have a sales process that you’ve developed over time after carefully examining the market and understanding how customers wish to purchase your product. This exact same mindset applies to the software vendors you speak with as they will have also developed a specific sales process that works for them. At Blue Link, we have fine-tuned our sales process over the past 10 years to come up with a specific set of steps that help potential customers find the best system for their needs, in the most efficient way possible – whether or not they choose Blue Link’s software. Therefore, it is important that you’re open to following the vendor’s suggested sales process to ensure success. Just because the process was different with another software vendor, does not mean that it will be the best approach. If you’re not willing to dedicate the time and resources to the software search and following the vendors’ process, it will be very difficult for you to make a truly accurate and informed decision on what system will be the best fit. Implementing ERP software does not happen overnight. If you’re interested in a solution that you can get up and running within a week, then you need to focus on introductory software, which may not have all the functionality you need to grow and manage all business processes. If you’re interested in an all-in-one solution to help grow your business, you need to dedicate the time to find such a solution. If you can’t dedicate 10 minutes on the phone to speak with vendors, how are you ever going to find and implement a new solution? Aside from the top consumer and business brands around the world, brand names and recognition are quite subjective. You may not have heard of every possible software vendor in the market, but that does not mean that they don’t have a superior product and it doesn’t mean that they won’t be a good fit for your business. Consider the flip side – it is likely that the vendor you’re working with has never heard of your brand or company name either, but does that mean that you don’t operate a reputable business? Instead of only focusing on the big brand name vendors in the market, take the time to do your research on available products for your industry. Frequently, smaller software vendors will have more functionality for specific industry niches – versus larger organizations that cater to a variety of industries with more general functionality. One of the best ways to get a feel for how well a system works is to talk to that vendor’s existing customers. Ask for references, and where possible try and actually visit an existing customer to see the system in action. For today’s buyers, self-education is the norm. Consumers (and salespeople) do not want to spend their time talking about a system’s features when this type of information is readily available online in the form of videos, customer testimonials, website content, blog posts and more. Finding a solution that is going to be a good fit for your business involves doing some research on your own. Spend the time perusing through vendor websites, watch their YouTube videos and read the testimonials and case studies they have put together. Then, when you do speak with someone on the phone or in person, spend the time discussing information that can’t be easily found online. You wouldn’t decide to buy a new office space without first doing research on the neighbourhood, surrounding businesses, demographics etc. 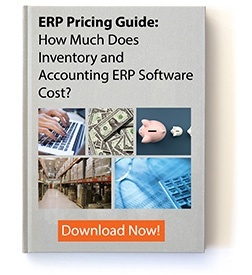 ERP software is another such capital investment that requires research. Keep in mind that the information gathering step is a two-way street – just like you want to learn about whether or not the vendor has functionality that can meet your needs, the vendor also wants to learn about your business processes to ensure there is a fit. After you speak with potential vendors, spend the time reviewing the information they have shared to better understand their offering. VAUGHAN, Ontario— Blue Link Associates is proud to announce that it has been named the winner of the Technology Company of the Year Award presented by Tech Connex in association with the Markham Board of Trade’s 28th Annual Business Excellence Awards. The annual award presented by Tech Connex celebrates the Technology Company that has demonstrated leadership, success and outstanding quality service in the Greater Toronto Area (GTA). The Tech Connex Technology Leadership Awards are highly competitive, and nominations include businesses from one of North America’s fastest growing technology hubs. To qualify for the Technology Company of the Year Award, nominees must be able to demonstrate innovation and leadership in the technology sector, company and market growth, community involvement, other technology achievements and recognition and a unique offering that benefits the technology ecosystem. Nominations for the Technology Leadership Awards are solicited from the Markham Board of Trade, members of Tech Connex and the surrounding technology community. Other award categories recognized at the annual event include Business Employer of Excellence, Entrepreneurship, Global Business Excellence, High Quality and Service and Innovation. Finalists are judged by a committee of community leaders and awards are presented at an annual gala in Markham. Blue Link ERP has been helping wholesale and distribution businesses grow and automate processes for the past two decades with its proprietary inventory and accounting ERP software. As a leader in technology innovation, this past year has seen Blue Link continue to build out its’ pharmaceutical specific functionality, becoming the first every ERP with CSOS functionality certified by the DEA. In addition, Blue Link ERP has been able to come up with innovative solutions by working with and mentoring college students to develop custom programming for a mobile app and through integration with partner systems such as the electronic document management solution, DocuWare. “We are very honored to be named Technology Company of the Year,” says Mark Canes, President and CEO of Blue Link. “This award represents the hard work and dedication of all Blue Link employees, not only to developing quality software and continuously providing innovative solutions but also to excellent customer service. We would not be where we are today without the help of our amazing team and the great relationships we build with our customers”. In addition to being named Technology Company of the Year, Blue Link ERP has received a variety of other awards and recognition in the technology industry over the years. 2018 marked the release of Blue Link’s latest software version, V14, which includes advanced dashboard views, a customizable homepage and enhanced global navigation. This release comes as a direct result of customer feedback, and research and design from Blue Link’s internal management and development team. Blue Link has also been recognized as a top software and technology provider in the food and beverage industry for 5 years in a row by Food Logistics, and members of the Blue Link team are regularly recognized as being thought leaders in the industry with various awards from Explore WMS and ERP Focus for written content. When Blue Link is not busy developing software, the company actively engages in supporting those in need in the Vaughan, Toronto and global community through various charity initiatives. About Tech Connex: Tech Connex is the only member-directed industry association in the GTA entirely focused on the cost-effective growth of technology businesses and their people through the sharing of best practices, business insights and bright ideas. For more information visit https://techconnex.ca/. About Blue Link Associates: Located in Ontario, Canada, Blue Link ERP provides all-in-one inventory and accounting ERP software for small to medium size businesses and is best suited for those in the wholesale and distribution industry. As an all-in-one solution, Blue Link ERP helps businesses reduce manual work and automate processes by providing tools for inventory management, accounting, order entry, warehouse management, contact management and advanced reporting. In addition, Blue Link includes various optional components such as point of sale, lot tracking, landed cost tracking, barcode scanning and eCommerce integration with sites such as Shopify and Amazon. Learn about why more and more businesses are choosing Blue Link as their trusted technology partner. Disclaimer: The information and opinions expressed in this blog are based on the author’s best understanding of the updates from HDA’s 2018 Traceability Seminar and do not necessarily reflect the official policies or opinions of the industry in whole. Blue Link was honored to once again sponsor and attend this year’s Healthcare Distribution Alliance (HDA’s) 2018 Traceability Seminar this past October in Washington, D.C. As with the previous year, the show was a mecca for over 500 key players in the pharmaceutical world including pharmaceutical manufacturers, distributors, 3PLs, and service providers – all of whom were looking to gain a better understanding of various industry compliance and regulatory updates. For Blue Link, the show is an important one to attend to ensure that the continuous development of our all-in-one pharmaceutical software is in-line with the changes, updates, and improvements happening in the industry, especially with DSCSA guidance, in order to provide a relevant and long-term solution to our clients. We thank those who stopped by our table to learn more about our software – we enjoyed meeting you! If you missed the show, we’ve got you covered. Take a look below for our recap of critical industry updates. It was made clear that there will be no more deferring of the DSCSA serialization requirements that require both manufacturers and repackagers to provide product serialization by Nov. 27, 2018. Effective November 27, 2019, distributors are required to verify if a product being returned can be re-sold. In order to do this, they must verify the product identifier, including the standardized numerical identifier, for each sealed homogeneous case of such product or, if such product is not in a sealed homogeneous case, verify the product identifier, including the standardized numerical identifier, on each package. Attendees were also informed that the below DSCSA guidance related resources were updated by the FDA and are now available. We urge you to read through them as they cover important information. Key takeaways include detailed definitions of the various pharmaceutical trading partners, licensure and reporting requirements for distributors and 3PLs and how to identify trading partners. This draft guidance is provided to help manufacturers and repackagers understand the requirements to affix or imprint a product identifier on a product and homogenous case they produce. It discusses what products are subject, barcoding requirements, and various Q&A’s. This is a must-read for all involved in the pharmaceutical supply chain as it provides very specific definitions of “suspect product” and “illegitimate product” and offers an interpretation of the various terms used to determine if a product is “suspicious” or “illegitimate”. A key takeaway of this document is that “Wholesale distributors, dispensers, and repackagers generally must not accept ownership of a product unless the previous owner provides the transaction information, transaction history and transaction statement prior to or at the time of the transaction”. This guidance is provided to help the pharmaceutical industry with the process to request a waiver or exception of a product they feel cannot comply or should not have to comply with the product identification requirements set out by the DSCSA. There is also a high percentage of expiration dates that are not being included in human readable info, even if they are embedded in 2D barcodes. The use of GS1 Standard of EPCIS 1.2 has been adopted by the US pharmaceutical industry for DSCSA interoperability. GS1 US also released the following whitepaper which offers an overview of the progress of 2D barcodes on unit products: 2018 Update: Implementation of DSCSA Serialization Requirements. GS1 is also offering conformance testing for US Trading Partners. AR/AP, GL, Bank Management etc. Lost sales, a disruption to operations, reputation damage…the true costs of a food recall are quite scary for any food distribution business. Not only do you have to worry about contaminated food products, but food sensitivities and dietary restrictions make it more important than ever for manufacturers, distributors and retailers to properly manage, track and label products to help consumers make informed and safe decisions. Customers need to be able to trust that your business is taking all precautionary measures to prevent a food recall from happening. However, even if you take the proper steps to prevent a recall, your business is still at risk of buying and selling contaminated or mislabelled product from your suppliers. You might not be able to entirely prevent a food recall, but you can implement proper food traceability software to reduce the negative impacts given the worst case scenario. Proper food traceability software tracks inventory across all sales channels and throughout the entire supply chain. Although these types of systems are not cheap, the time and cost savings your business will find from managing a recall when you have a proper solution in place, far outweigh the actual system costs. Below we explore the true costs associated with a product recall. The systems and processes in place at food facilities will significantly impact the management of a food recall, but in general, the following direct costs will apply across the board no matter the size or operations of a business. According to numbers from the U.S. Food and Drug Administration, and the U.S. Department of Agriculture’s Food Safety and Inspection Service, there were a total of 456 food recalls in the US in 2017, 218 of which were due to allergenic ingredients not being properly labelled. With more than one recall a day, the costs to the industry and individual businesses is high. If your business is involved in the distribution and sale of the contaminated food product, you’re at risk of a lawsuit. The costs associated with legal action include attorney fees, court costs, settlement fees and loss of productivity as you deal with the ramifications outside of your normal responsibilities. Depending on the severity of the case, you may also be required to pay out damages to those consumers affected. Aside from the costs associated with fighting lawsuits and litigation, the negative impact these actions will have on your business reputation might be impossible to overcome. In the event of a recall, manufacturers must stop production and suppliers and retailers must pull product from shelves resulting in lost sales from the contaminated product. However, as word of the recall reaches the ears of consumers, it can change their purchasing habits and trust in your brand. The way in which you deal with a product recall can dictate whether or not consumers decide to continue to purchase your other product lines as well. Recall insurance is designed to protect assets if a recall does occur, however, as with any insurance policy different plans will cover different costs. It’s important to determine what is covered under your plan and how a recall will affect your premiums. If you don’t have insurance, spend the time to learn about your options and make sure you determine ahead of time what is involved in working through a recall with your insurance provider. Damage to your company’s brand reputation is the biggest factor in whether your business can survive a recall. Not only will a product recall lead your customers to stop the purchase of the product involved in the recall, but it can also lead them to not trust your other product lines as well. Brand reputation is your primary asset – it represents how you do business, your values, and who you are. The way in which you handle a recall and the processes you have in place to do so will indicate to customers whether or not you care about their well-being and safety. The ability to quickly manage a recall and the implementation of sophisticated food traceability software and food safety procedures will let customers know that you have put time and energy into preventing a recall and have the ability to quickly manage the recall process. 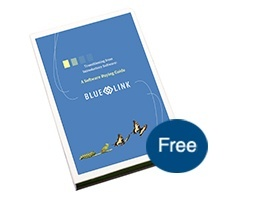 For more information about Blue Link’s food traceability software, watch the demo video below. Unhappy customers are inevitable when it comes to your wholesale distribution business…think about how many times you have been one yourself. It’s bound to happen and it’s a natural reaction to take negative feedback to heart. However, before you go into defense mode and potentially make the issue worse, the old saying “when life hands you lemons….” goes a long way. Unhappy customers are one of the biggest tools you have in your arsenal, especially if you have a small business that is in the early stages of growth. The winning formula is to extract the truths behind negative comments and analyze them to seek out opportunities to improve your product and services. Mining negative comments for these truths will show you the path you need to take to improve your business. Here’s a quick exercise. Think about a negative comment you’ve received about your business recently. How often does the same complaint arise? What truth is the customer trying to tell you, meaning what have they identified that is lacking from your product or services? Is this a reasonable or feasible request or suggestion? How are you going to solve the problem? And, have you addressed the comment and replied to the customer? While you can’t be everything to everyone, these questions are important to ask especially when you start to see commonalities in issues. When it comes to wholesale distribution businesses, there are numerous common complaints that are often related to inventory and shipping. Things like shipping errors, packing the wrong products, running out of stock etc. are all too common. If your business is experiencing similar problems, it means that you are lacking the proper technology and processes. More and more businesses are investing in technology to counteract negative feedback. Implementing a true distribution inventory software can not only improve visibility of your inventory and finances and reduce errors, but it also helps to meet your ultimate goal – customer satisfaction. Below are examples of common customer complaints for wholesale distribution businesses and ways to improve your business and retain your customers with the right distribution inventory software. When dealing with large volumes of inventory in your wholesale distribution business, it is extremely difficult to keep track of items without proper technology. It is best practice to use barcode scanners for verification – implementing the right distribution inventory software with verification scanning allows employees to cross-check against pick slips to ensure they are packing the correct items. When products are barcoded and entered into the system, employees can quickly view information such as product code and description stored within the database. And, the inventory count is automatically updated in the system once an item is picked so pickers will have always have access to real-time inventory information. More robust barcode scanning functionality such as mobile scanning is paired with hardware such as iPhones and iPods to further automate this process. Handheld picking allows users to itemize all products to pick and details how employees should go through the warehouse from top to bottom in the fastest order according to bin and shelf locations. Now, when there are instances of an item missing from a shipment, that also reflects poorly on your business. Blue Link distribution inventory software provides a pack-to-container screen which is an additional layer of accuracy, especially when there are multiple orders going to the same ship-to location. Users can review items picked against the sales order on the same screen, view how many packing boxes and containers are added to the shipment, which items are already packed and which items are missing. A true distribution inventory software will not only be able to integrate with common shipping carriers such as FedEx and UPS but will also offer integration with rate shopping applications to help your business get the best shipping rates, and in turn, save costs for your customers. Once an order is packed and boxed, you can enter the size and weight of the shipment into the system which will automatically populate a list of available carrier services and their rates and estimated delivery times. Keep in mind that fast delivery times also rely on how fast the order is picked and packed in the warehouse – the sooner orders leave the facility, the faster they’ll reach your customers. For example, Blue Link distribution inventory software provides specific functionality for you to pick, pack and ship orders quickly and allows users to see requested ship dates to prioritize which orders get picked first. With the system’s warehouse shipping functionality, once an order has been picked and packed, you can easily select the order to ship, rate shop with common carriers, enter shipment details, print the documents required to accompany the order, and mark the order as shipped. This is one of the most common issues for wholesale distribution businesses without proper software and leads to unhappy customers and losing business to your competitors. Throughout the day, your business is moving large volumes of inventory in and out of your warehouse(s) and product is being allocated to orders, so the chance for stock running out is high. When you do run out of product, your business misses out on making sales which directly impacts your revenue and bottom line. Implementing a true distribution inventory software provides functionality to manage out of stock items such as reorder management. With Blue Link, reordering stock is automated – multiple methods are in place to determine order levels and quantities with auto-creation of purchase orders to ensure you always have the right amount of product in stock at all times. As technology evolves at lightning speed and brands leverage data to create personalized, value-add experiences, your customers’ expectations of your interactions with them are sky high. According to Microsoft’s 2018 State of Global Customer Service Report, 95% of those surveyed agreed that customer service is one of the top deciding factors influencing brand choice and loyalty. And, 61% of respondents have switched brands due to poor customer service. Your business cannot afford to not know your customers. Having a system in place to track customer satisfaction over time so you can consistently give better service is critical to business success and longevity. More and more businesses are investing in technology to manage customer experiences. When choosing a distribution inventory software, make sure it has all-in-one functionality that not only provides accounting, inventory and warehouse management but also has the functionality to manage your customers and track their interactions with your business which is referred to as customer relationship management (CRM). Going back to the Microsoft report, 75% of the respondents expect customer service representatives to have visibility into previous interactions and purchases. Customers ranked a representative’s lack of knowledge about their issue and having to repeat themselves as the two most frustrating aspects of a poor service experience. Having CRM functionality allows businesses to track communications with customers, keep up-to-date with their information such as shipping addresses, email addresses, phone numbers etc., log all communications with them, automate email responses etc. Most of the time, customers might leave unhappy, but do not say a word about it to you. This is dangerous to your business because they have the power to spread negative criticism about your company to their network and online. It is critical to follow-up with customers not just when they purchase from you but on a periodical basis to ensure they are still happy with your products and services. Not abandoning them after the sale will make them feel appreciated and have their voices heard. Think of your own experiences being a customer. You might have heard the phrase, “the problem the prospect brings you is never the real problem”, and it’s no surprise – this phrase was coined by Sandler Training, one of the most popular sales training methodologies in use by high-tech companies around the world. Even if you’re unfamiliar with the teachings of Sandler, this phrase is important as a salesperson and customer when searching for new enterprise software. The philosophy encourages salespeople to dig a bit deeper when evaluating a company’s pain points and reasons for shopping to uncover more details about the search, however, as a business starting the software search, there are benefits to reflecting on the above as well. By spending the time determining a detailed list of reasons for your software search before you speak with vendors, you will be able to prioritize what matters most in deciding on a solution to help narrow down options. Below are a couple of pain points we often uncover during the sales process to help get you thinking. Pain Point #1: Our existing software is outdated. Although legacy software itself can be an issue in terms of system aesthetics, the real issues with an outdated solution go much farther than that. Legacy software implies a system built on old, outdated technology which itself leads to various other problems. Working with outdated technology (such as Windows XP) means your software is no longer compatible with modern solutions. This makes it impossible to update hardware, it restricts your company’s ability to integrate with other applications (such as eCommerce platforms) and it makes training new employees more difficult. What happens if you need to replace a computer? Or if one of your suppliers requires EDI? Legacy software restricts your ability to perform your day-to-day tasks and grow the business. Pain Point #2: Our existing software is no longer supported. When your software is no longer supported, this leads to a myriad of other issues. Not only will you not be able to fix any issues or bugs in the software, but software that is no longer supported means it is also no longer getting updates. As a result, your business will miss out on any new features or technology advances. Trying to use software that is no longer supported can result in creating manual processes and workarounds when you do run into a bug issue – exactly the types of processes that software is designed to eliminate. Software that is no longer supported also puts your business at risk of losing sensitive business data, not to mention the risk of the system crashing. If your software goes down without support during normal business hours, it can leave your employees stuck – or worse – it can leave your customers and suppliers in the dark. Pain Point #3: Our system does not have any inventory management functionality. Many introductory software systems do not include functionality for inventory management. Even if they do, it is for very small businesses with a low volume of SKUs and transactions. However, that’s the point. Introductory software is designed to be the first solution in use to get your business up and running. Then, once your business grows and order volume increases, you can begin to look at more advanced inventory management and accounting software. Without the right inventory management features, your business is stuck managing manual processes, entering data across multiple, standalone solutions and creating workarounds to manage orders. Lack of proper inventory management features can lead a business to hire additional staff just to keep track of inventory and organize the warehouse – a much more expensive solution than implementing the right software when you factor in salary costs, benefits, training and employee satisfaction. A lack of sophisticated inventory management software leaves your business at risk of selling product you don’t have, losing money associated with the holding costs of stocking products that you can’t sell, a high number of RMAs due to shipping errors and ultimately, unhappy customers. Paint Point #4: Our software does not have good, customizable reporting features. Reporting functionality is more than just making stakeholders and management happy. It’s getting an understanding of business health, threats and opportunities in real-time. Although most businesses can benefit from standard reports in terms of profit and loss statements, top-selling products etc. every business will have unique needs when it comes to reporting. Getting access to information in real-time allows your business to quickly and easily make decisions about purchasing, sales, pricing and more. Without the ability to get insight into the operations of your business, you could be leaving money on the table. Are you purchasing and holding inventory that is costing you money? Are your salespeople meeting their quotas? Which products do not have high enough margins to make it worth your while? Pain Point #5: Our software is not integrated with our website. Even if your business is set-up to sell online and you have a high-performing website, this is only one piece of the puzzle. Without proper integration to back-end inventory and accounting systems, time and resources are wasted manually entering data, checking for inventory and updating multiple, standalone systems. Complete, 2-way integration means information flows bi-directionally, and you only ever need to update and manage one database of information. Inventory and pricing are accurate across all sales channels and orders are managed from a single solution to help optimize the picking, packing and shipping process. Pharma ERP Expert -Here to Help!